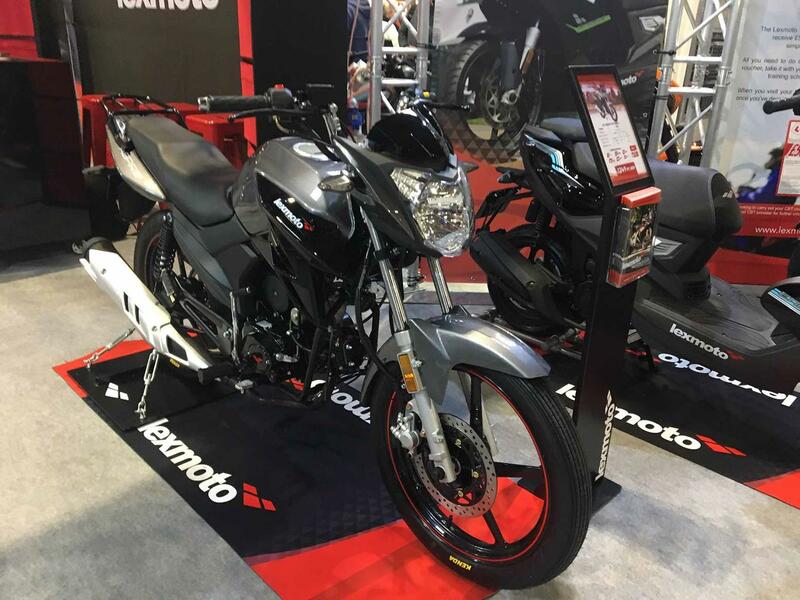 Low-capacity motorcycle specialists, Lexmoto, have revealed a new four-speed, four-stroke 50cc motorcycle at Motorcycle Live, aimed squarely at 16-year-olds taking their first steps into two wheels. Priced at just £1249.99 and available with a one-year warranty, the Aspire offers premium looks reminiscent of a Japanese Yamaha YS125, without the price tag and is fully Euro4 equipped. A low seat height of 750mm also means the Aspire is less intimidating to new riders - potentially still growing - and the inclusion of an air-cooled single-cylinder four-stroke motor means less time changing spark plugs and fettling carbs like you would on a temperamental two-stroke. Producing just shy of 3bhp at 8500rpm, the bike is restricted to around 30mph to comply with regulations, however this can be removed by a dealer for a small fee when the rider turns 17. A kick-start is also featured. Braking is catered for via a hydraulic front disc and rear drum, complete with twin shocks and telescopic forks to help soften the bumps. Although there is still no official word on fuel economy, Lexmoto are confident of figures of around 120mpg. Available as of January next year, the Chinese bike importers have added a plethora of new models to their 2019 motorcycle line-up to help bolster an already-impressive range of geared and fully automatic 50cc and 125cc motorcycles. With a 120-strong dealer network, the firm also offer a longer two-year warranty on their 125cc machines.